The Christmas season is here and that means family get-togethers and parties, and the not to be forgotten ugly Christmas sweaters. The ugly Christmas sweater trend has become a yearly tradition that’s becoming more and more popular each year. I am partnering with UglyChristmasSweaters.com to giveaway one ugly sweater of your choice. They offer such a wide variety of ugly sweaters that you will find one that fits your personality. They even sell ugly Christmas leggings and jackets. When it comes to ugly Christmas sweaters, the possibilities are endless. There are ugly Christmas sweaters for men, for women, and for couples. There’s Christmas character themed ugly sweaters (Santa Claus, reindeer, etc), and there’s even sports and movie themed ugly sweaters. Let’s not forget the Light Up Sweaters. Those are the best! I received the Old Fashioned Family Sweater based on the National Lampoon’s Christmas Vacation movie. 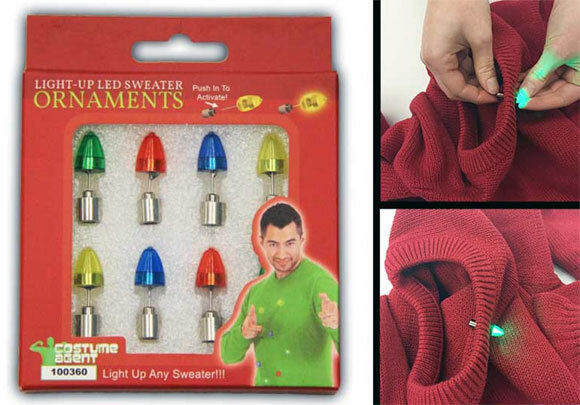 It also came with attachable lights and the winner will receive their choice of sweater with a set of lights as well. Sweeties Giveaway Rules: NO PURCHASE NECESSARY. Open to all United States residents, 18 and older. This Giveaway begins on December 7, 2017 at 12:00 am ET and ends on December 10, 2017 at 12:00 am ET. One Winners will be randomly chosen on or about December 11, 2017 and will be contacted by email. One Winner will receive an Ugly Christmas Sweater of their choice from UglyChristmasSweaters.com plus a set of Christmas sweater lights. I want one of these sweaters. They are cute and besides they keep you warm. Don’t be mean to the sweaters! LOL Those are too perfect! I love these sweaters ! I would wear the Yeti sweater. Thanks for bringing them to my attention. I am hoping to win my very own ugly Christmas sweater. Thanks for the giveaway. Thanks for letting me have a chance at winning. Women’s Yeti to Party Light up LED Ugly Sweater. I don’t own an ugly sweater, kinda feel left out of the fun so this would be neat to win.